South Africa's journey to the Rugby World Cup is off to a shaky start with 19 players unable to train at the Springboks' opening training camp in Johannesburg. An additional five players only took part in some of the activity in a sign of the physical nature of Super Rugby this season. Already without skipper Jean de Villiers, who suffered a serious knee injury against Wales late last year, the Springboks will also be keeping a close eye on Patrick Lambie and Willie le Roux who have also been sidelined this season. Springboks coach Heyneke Meyer was putting on a brave face however, saying he expected a large number of players to be feeling the effects of Super Rugby and thus invited such a large contingent to the training camp in Johannesburg. "Our commitment has always been not to risk any injured players at our training camps and looking at the history of these camps, we've not had any players pick up injuries at our camps," Meyer said. "We receive weekly feedback on all players from the franchise medical teams and we've always enjoyed a very good working relationship with them. We knew from the outset that a large number of players would not be able to train, which is why we decided to invite a big group to this camp, as well as our camp later this month in Cape Town. "Injuries are part of the game and one of our main aims in the last few years has been to create depth in every position. 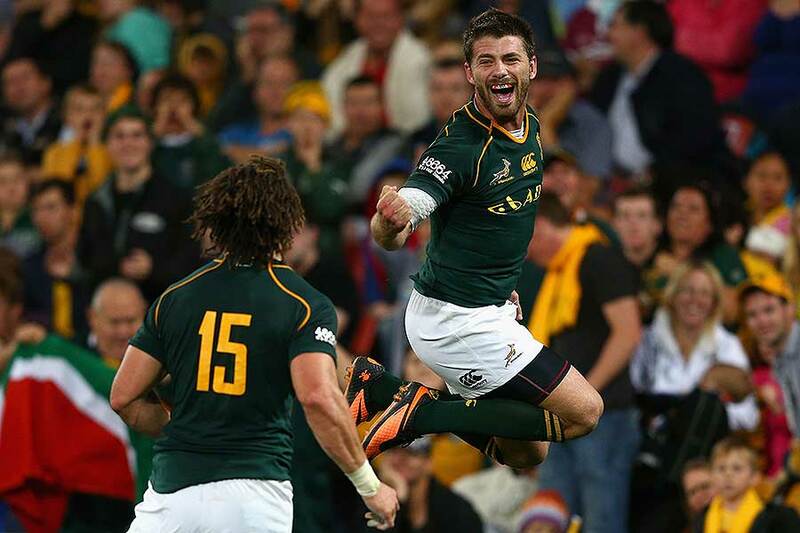 By inviting a decent number of players, we're exposing them to the Springbok culture and ethos." The South African Rugby Union has an "understanding" with its five Super Rugby franchises that Springboks players will be rested through the season and that no individual will feature in five consecutive matches. That could help explain the size of the squad, although Meyer said each player attending the camp was very much in contention for a World Cup spot. "I truly believe there is not one player we invited to these camps who is not good enough to play for South Africa," he said. "In putting together this squad, we took into consideration the situation with injured players, but also rewarded Vodacom Super Rugby form. Camps such as these also give us an opportunity to work with players, to tell them where they stand and where they can improve to become even better players."